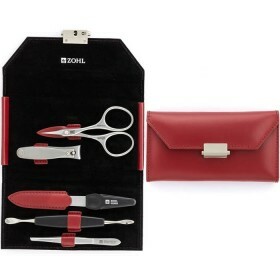 Crafted for a woman who trust her nails to the best beauty tools, ZOHL manicure set Prestige blends value and quality into unique manicure experience. 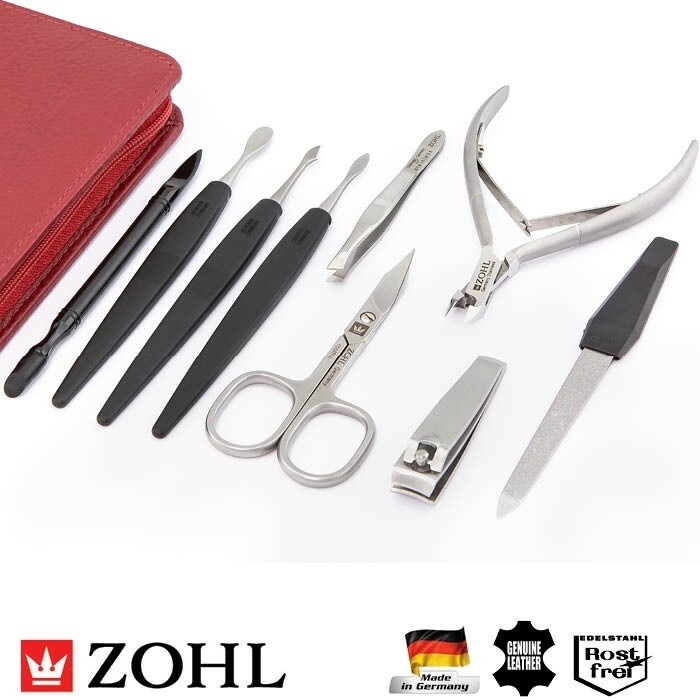 With 9 stainless steel nail care instruments made in Germany, she will enjoy sharpness and precision that lasts years – exactly what an authentic German manicure set should deliver. 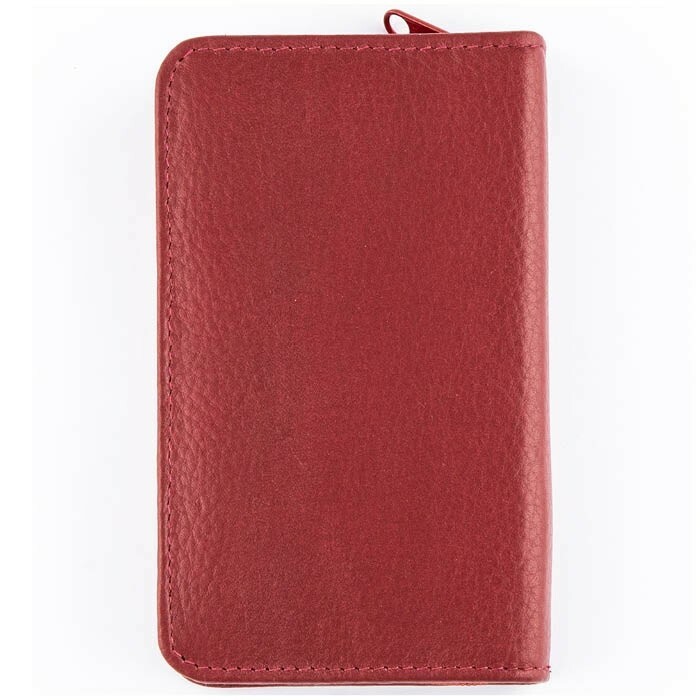 Beautifully presented in a sleek merlot leather case, it makes a charming Christmas or Birthday gift for a woman, and will be her best companion in personal care for years to come. 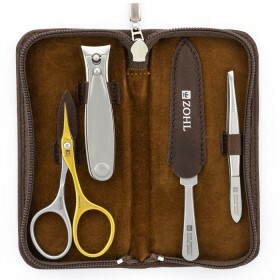 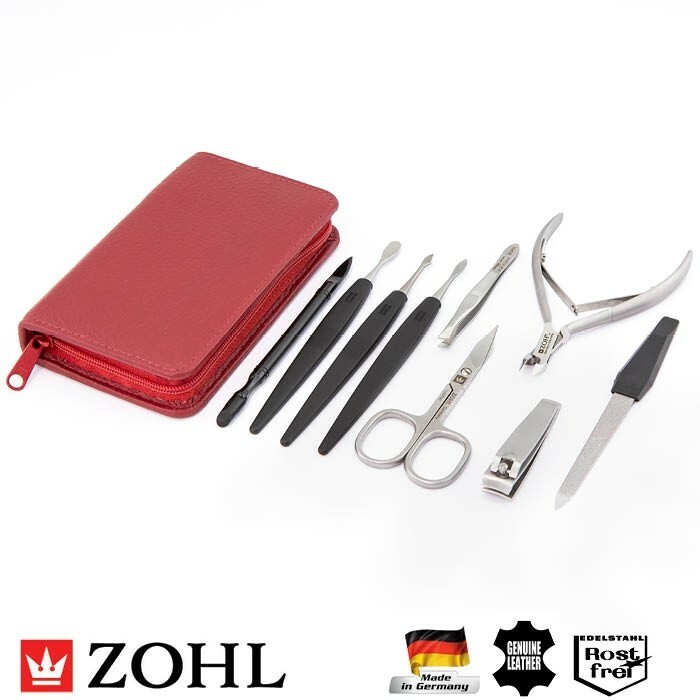 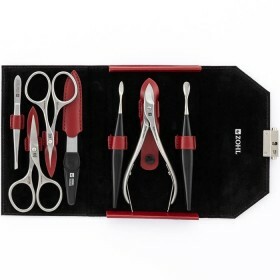 ZOHL introduces Prestige – high quality manicure set for women who like nail care with professional nail instruments. 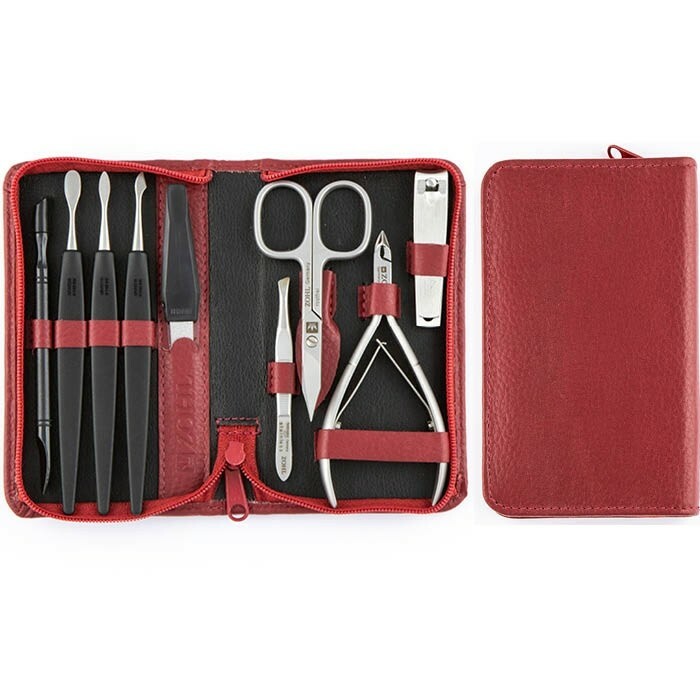 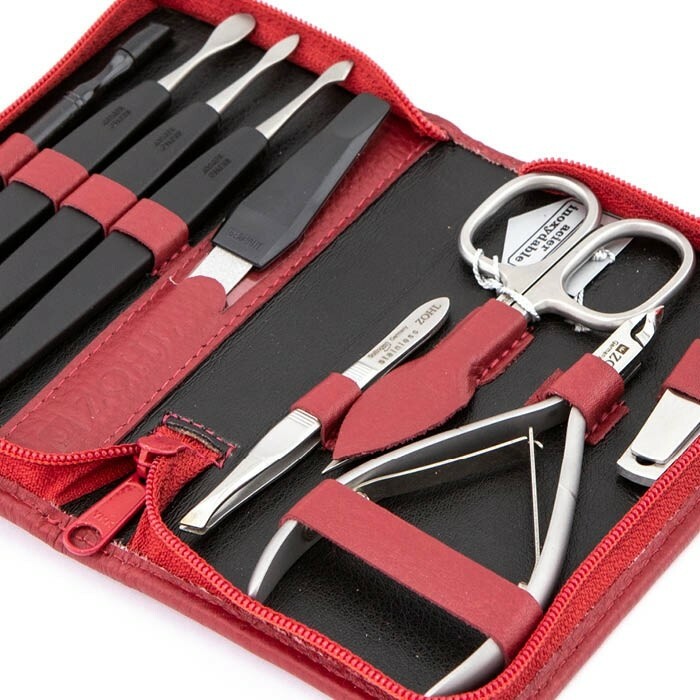 Made in Germany - the world hub of durable quality products, it features expertly crafted nail tools in a dark red leather case with a matching zipper. 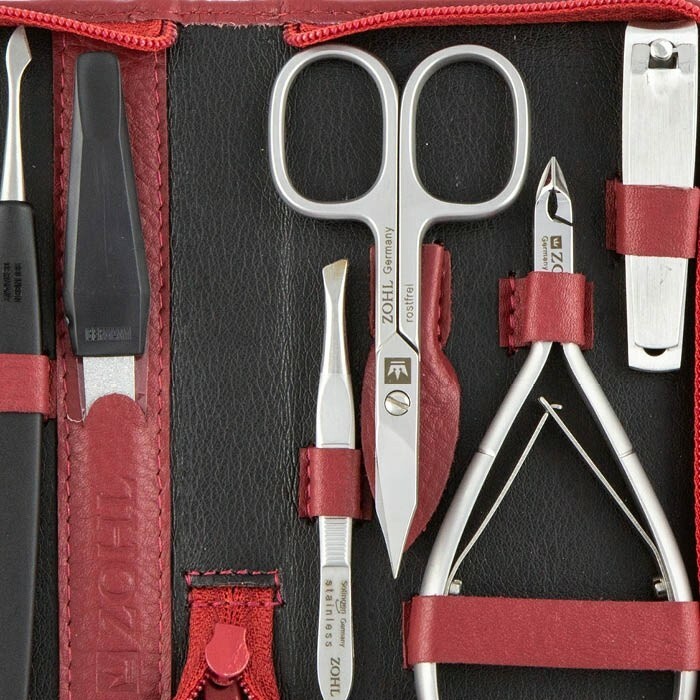 The blades – ground to perfection – ensure the scissors and nippers work beautifully on nails and cuticles, leaving neat, healthy edges. 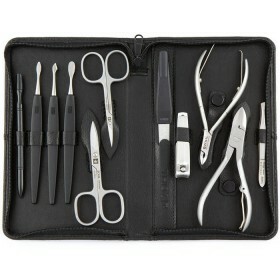 Every instrument is made of fine stainless steel and can be safely washed when needed. 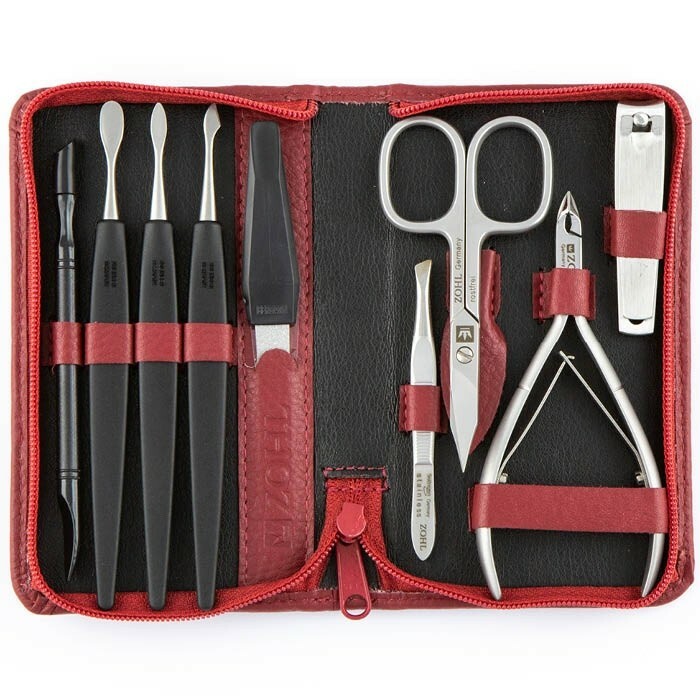 Distinctive feature of Prestige manicure set is the cuticle nippers for those who prefer more control over cutting their cuticles. 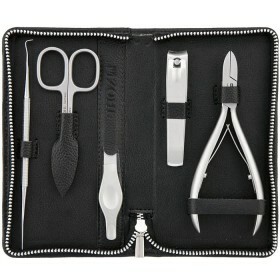 The nippers are 10.5 cm long and fit perfectly into the hand, with smooth springing effect making the procedure almost effortless. 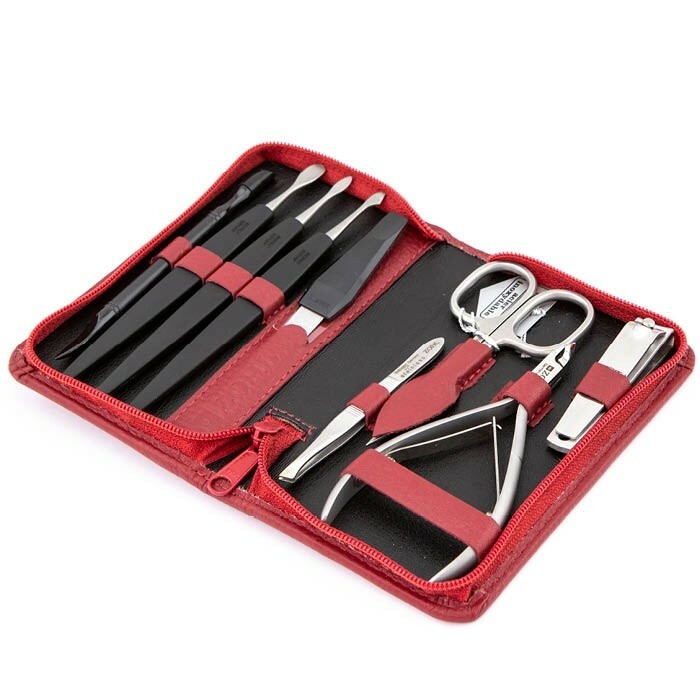 Prestige manicure set adds the touch of style and luxury into a woman's beautifying routine and will be always handy in between her visits to the salon or for regular nail care at home.